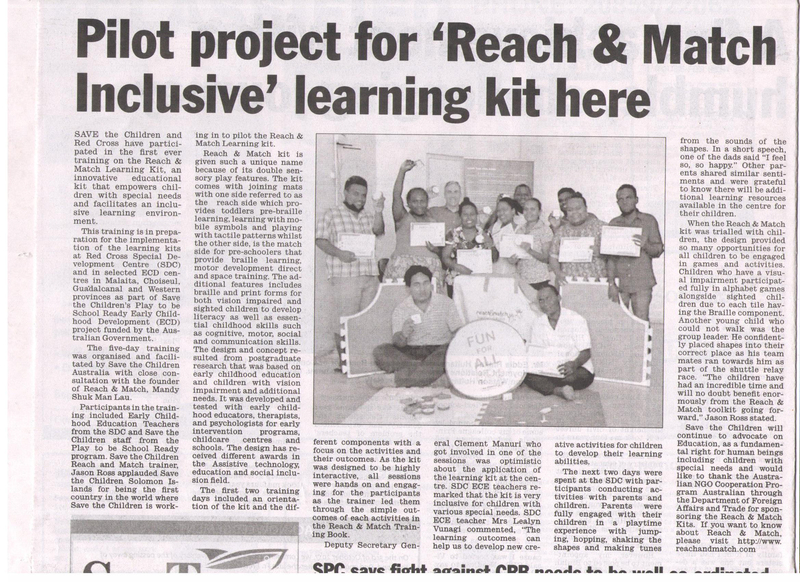 SAVE the Children and Red Cross have participated in the first ever training on the Reach & Match Learning Kit, an innovative educational kit that empowers children with special needs and facilitates an inclusive learning environment. 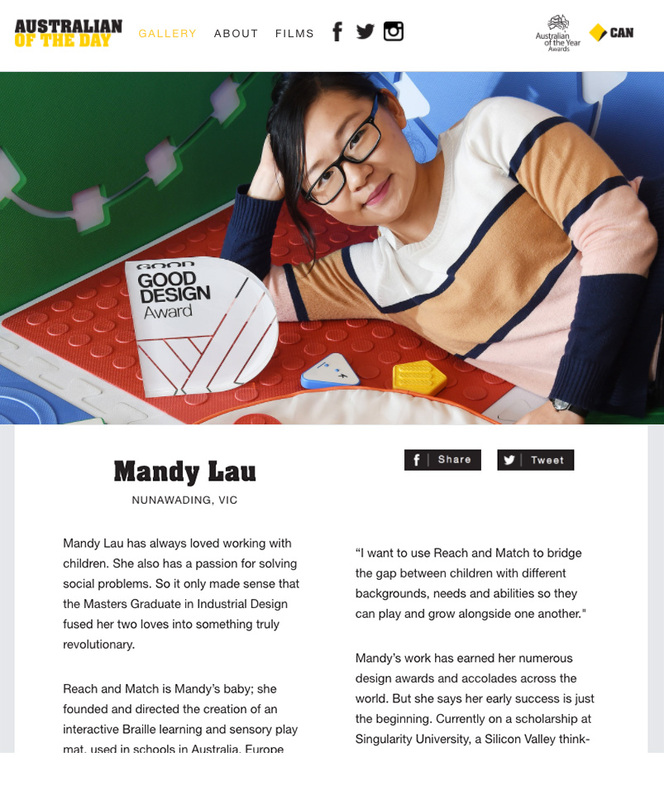 Mandy Lau has always loved working with children. 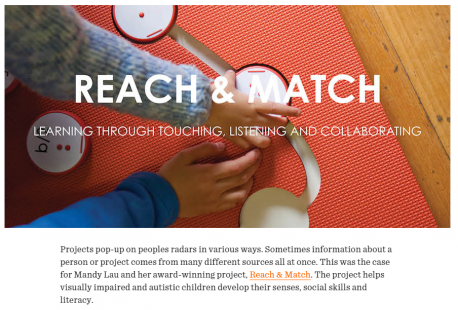 She also has a passion for solving social problems. 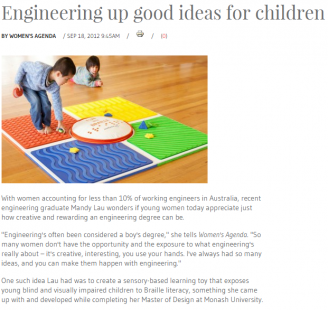 So it only made sense that the Masters Graduate in Industrial Design fused her two loves into something truly revolutionary. 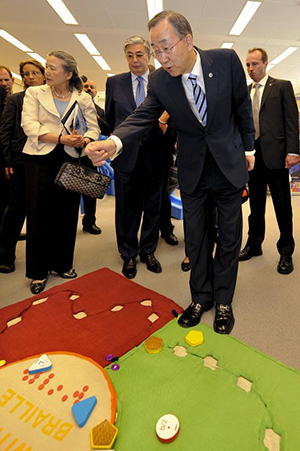 ”I couldn’t even do simple tasks,” Lau says. 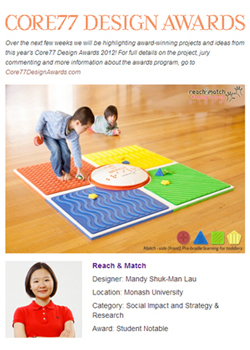 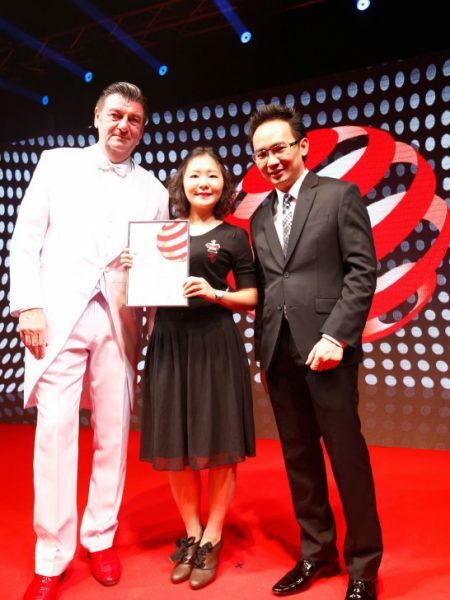 GLOBAL declines in braille competency prompted Mandy Shuk-Man Lau to design the Reach and Match educational toy for vision-impaired pre-schoolers as part of her masters in industrial design at Monash University last year. 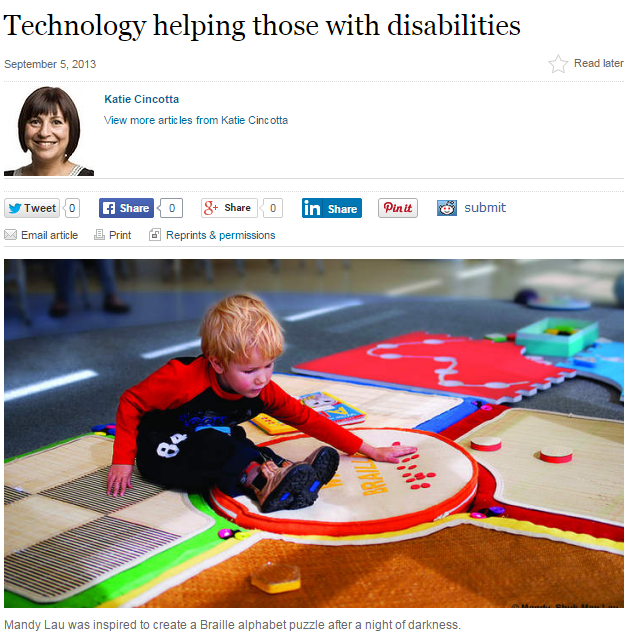 “Reading” for the blind has dropped off steeply since children with sight problems were integrated into mainstream schools, hastened by the advent of talking computers, electronic books and books on tape. 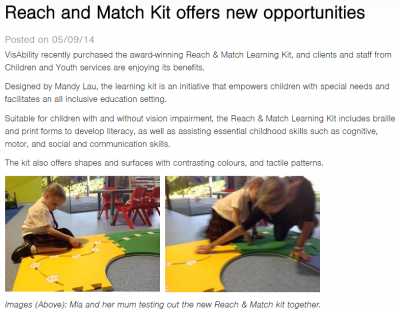 Ms Lau says there are also fewer teachers of braille, and a range of disincentives for tackling it, including that it is difficult to learn and that braille typewriters are cumbersome and noisy. 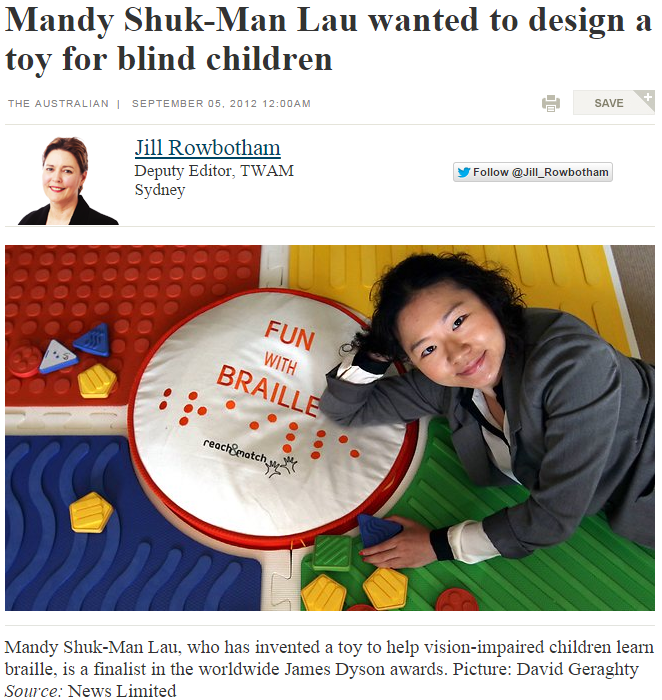 “I wanted to design a toy for blind children because I understand the global decline of braille is a problem,” Ms Lau said. 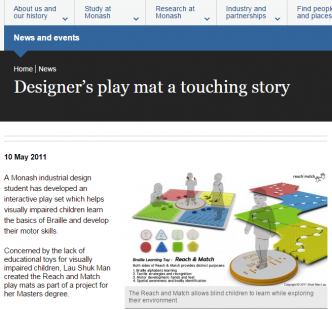 A Monash industrial design student has developed an interactive play set which helps visually impaired children learn the basics of Braille and develop their motor skills. 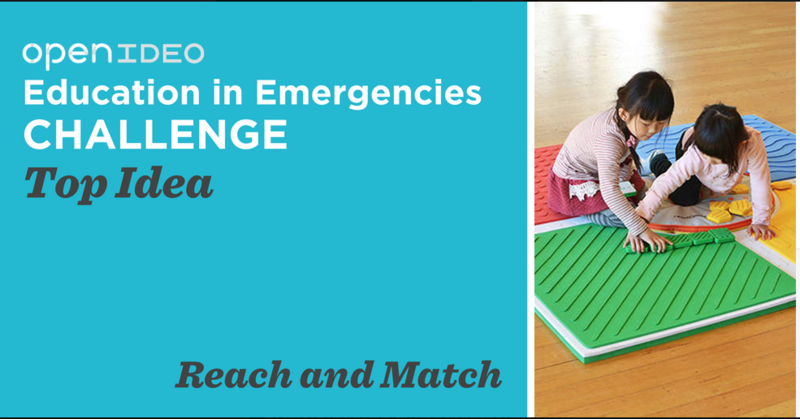 Concerned by the lack of educational toys for visually impaired children, Lau Shuk Man created the Reach and Match play mats as part of a project for her Masters degree.